Winston Churchill was an army officer, politician and writer who became a famous politician for the UK. His service to the country is well-recognized and so are his inspiring speeches. Born in an aristocratic family to Lord Randolph Churchill and Jennie Jerome, his political entry was almost certain. His ninety year life was full of commitments, heroics, tragedies, failures and political drama. The following Winston Churchill interesting facts reveal some fascinating things about one of the most renowned Prime minister of the United Kingdom. 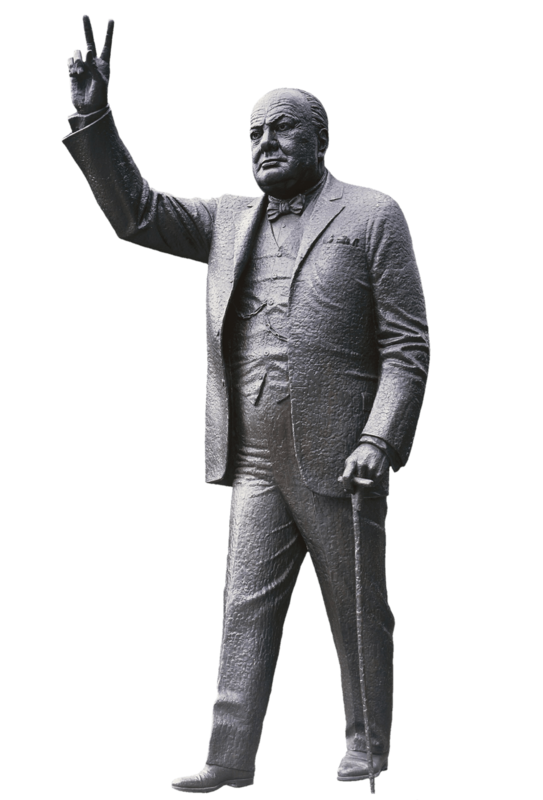 A great orator of his age, Winston Churchill had a lisp that made it hard for him to distinguish between the sounds “s” and “z” while speaking. Speech specialists found nothing wrong with his orientation and suggested speech exercises. The same defect was found with his father, Lord Randolph Churchill, which was more intense. With the help of speech exercises and denture implantation Churchill could reduce his lisp problem. During the World War I Churchill was quite active as the First Lord of the Admiralty for the British. He was ambitious to seize the Ottoman Empire that was experiencing a rapid decline by the help of navy. The British Navy ships along with the allied forces were defeated one by one by the Ottoman retaliation. The battle was held for months near the Gallipoli Peninsula and led to the death of over two hundred and fifty thousand people. The plan was an utter failure and the Gallipoli Campaign led to the removal of Churchill from the First Lord of the Admiralty honour [which he regained later]. Mahatma Gandhi was well-known among the British for his peaceful rebellion against the slavery encountered by the Indians. Winston Churchill who liked Indians in general was not able to digest the fact that Gandhi could influence huge masses against the British. Furthermore, their personalities are mostly different and their political point of view was in contrast as well. Churchill termed Gandhi as “a seditious middle temple lawyer” and he was so furious with him that he was unwilling to come down to terms with Gandhi during a hunger strike even if it meant the death of leader of Indian independence movement [and the resulting consequences]. Churchill was very fond of arts and literature. This interest has led him to be an artist as well as a writer. It is known that he has produced over five hundred paintings in his lifetime and wrote many speeches. He also wrote more than a dozen books, some containing more than two volumes. Although he is famous for the speech Blood, Toil, Tears an Sweat; he has many other well known writings such asThe Second World War, Painting as a Pastime, The River War and Savrola. He was awarded Nobel Prize for literature for his work – The Second World War, which contains six volumes and completed between the years 1948-1953. Some of his lines are truly inspirational one should definitely read Winston Churchill quotes to get new perspective of life. Winston Churchill was highly decorated no doubt, but not many know his important titles. Some of his honorable titles are Knight of the Order of the Garter, Member of the Order of the Merit, Companion of Honour, Territorial Decoration, Deputy Lieutenant, Fellow of the Royal Society and Royal Academician. These are only few and the ones mentioned in the above paragraphs are excluded. This shows the contribution of the man towards the development of the country and his dedication towards the country. Winston Churchill, born November 30th 1874, was a true patriot with all-round skills and effectiveness to achieve anything. His life, which ended on January 24th 1965, was a true inspiration to everyone during that period and the successors who take him as the ideal politician and most importantly as the ideal personality. ← Anatomy of a Sonnet and how to write one effectively!